Put a live soundtrack to your love story. Hayden Wiebe is a professional singer/songwriter from St. Stephen, NB. In 2016 he was nominated by Music NB for Folk Artist of the Year. His soft voice and intricate guitar playing will provide a relaxed ambiance for you and your guests as you celebrate your unique love story. 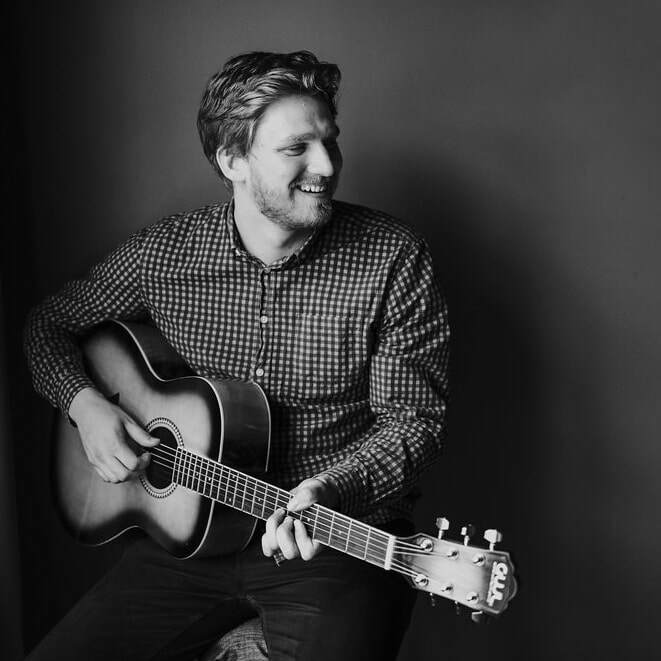 If you’re looking to create an atmosphere with a mix of live original tunes along with cover songs from artists like Jack Johnson, Jason Mraz, Passenger, and Ed Sheeran, then Hayden Wiebe Music will fit seamlessly with your special day. Live music for your wedding can be simple. Let us take care of everything from the prelude to the sound system. Bring your pre ceremony to life and have a song that perfectly encompasses your relationship performed live during your registry signing. Keep your guests happy and relaxed while they wait to be served at your reception and have a song selected to be played for your first dance. Need a solution for quiet vows and speeches? We can provide an extra microphone for your use, which will plug straight into the musician's audio system.